The Internet of Things (IoT) is creating many new exciting application opportunities to create smart environments where sensors monitor for changes so that the appropriate actions can be taken. The fastest growing examples of this are HVAC (Heating Ventilation and Air Conditioning), IAQ (Indoor Air Quality), smart homes and smart offices where a network of sensors monitors temperature and carbon dioxide (CO2) levels to ensure the optimal conditionals are maintained with the minimum of energy expenditure. A challenge for such systems in that the CO2 sensors need mains power to operate incurring costs for cabling and, in the case of installing in existing buildings, redecoration. To make the design of these monitors even easier, GSS has added an I2C interface to its very low power CO2 sensor, the CozIR®-LP. Having the widely used I2C interface now makes the integration of the sensor into a design very easy. 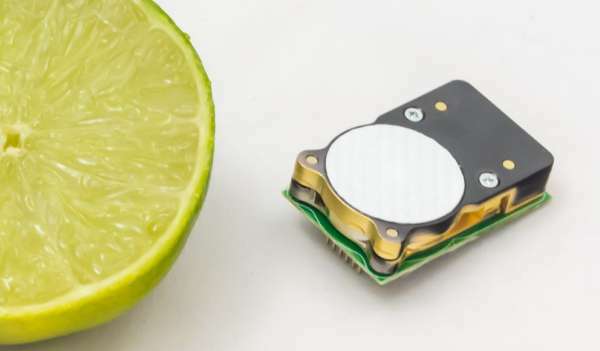 The CozIR®-LP is the lowest power CO2 sensor available requiring only 3mW that is up to 50 times lower than typical NDIR CO2 sensors. The GSS patented LED technology also means that the solid state sensor is very robust. This keeps maintenance costs to a minimum as the expected lifetime is greater than 15 years making them the perfect choice for fit and forget applications that measure low (ambient) levels of CO2 from 0-1%.